My backpack trip into the Enchantment Mountains proved worthy of the incredible challenge I faced just to arrive. It was extremely rugged country. Mountain goats, waterfalls, lakes, icebergs, glaciers, and sheer cliffs astounded us with views at every turn. I am no stranger to backpacking. 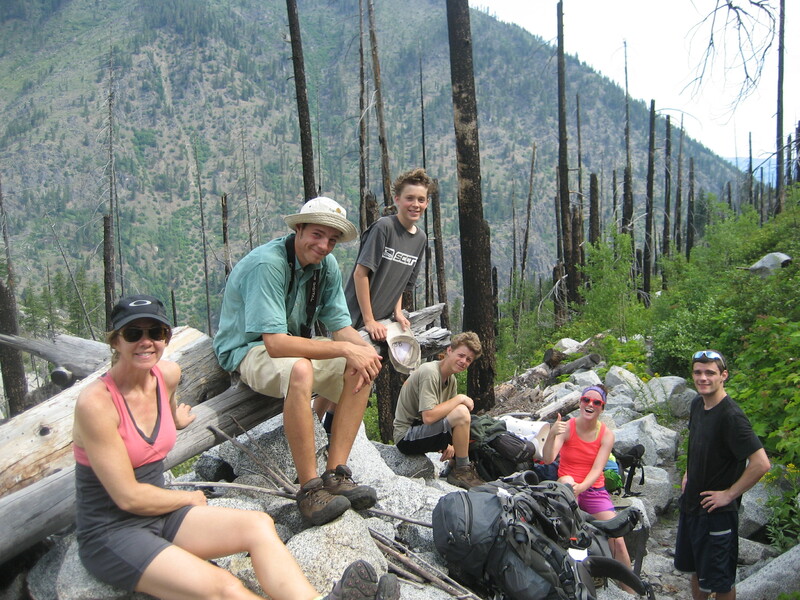 I backpacked as a kid in the Colorado Rockies with my family. 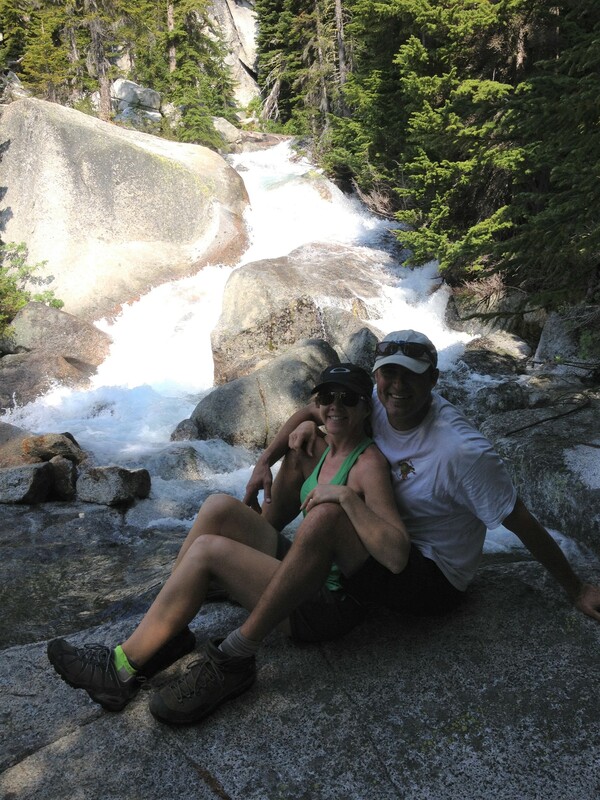 Later, I explored the Pacific Northwest with my husband and our kiddos, once they were old enough to hike (or be carried, as the case often was…ha…). Camping out in the wilderness rejuvenates my soul. I usually feel as though I have been holding my breath and when I get into the mountains, I finally exhale, and breathe deep for the first time in a long while. Ahhhhh……there it is. I’m whole again. When my husband suggested we hike into the Stuart Range in Washington for a family trip, however, I was a little reserved. What? No, no, not for the kids, but for me! Our boys, ages ranging from 14-20 at the time, were completely able to carry their own food, clothes, and selves deep into the great outdoors. No problem. In fact, strong, young boys with tons of muscle and energy? Hiking was a breeze for them. All I had to do was organize the food and get myself and my own backpack to the destination. Easy enough, right? Problem. Errrr, yes. 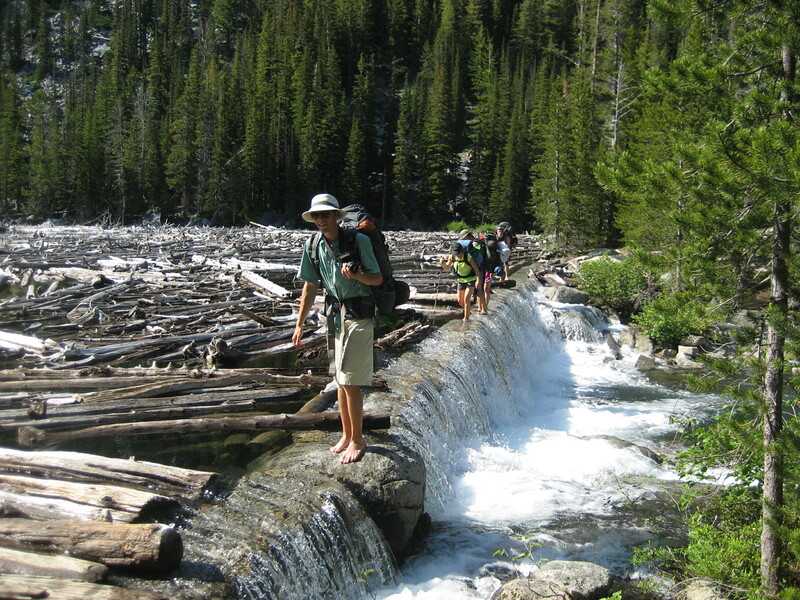 Twelve miles in and 7,000 feet elevation gain of steep, rugged wilderness awaited. I was nervous about the sheer amount of physical energy needed to arrive at the campsite. Nevertheless, excited to go, I envisioned the beauty and couldn’t wait to begin. We made plans, reserved our permit, packed, organized, and headed up. Oh, and I DID pack my watercolor journal. Extra weight, sure, but I could handle it. Every ounce practically killed me by the end. In fact? Just the weight of my own body proved almost too difficult to bear. Difficult. But worth every step. It was so beautiful, so challenging, so scary, and so amazing, and I’ll probably never see it again. Here we are, in all our pre-hike glory. 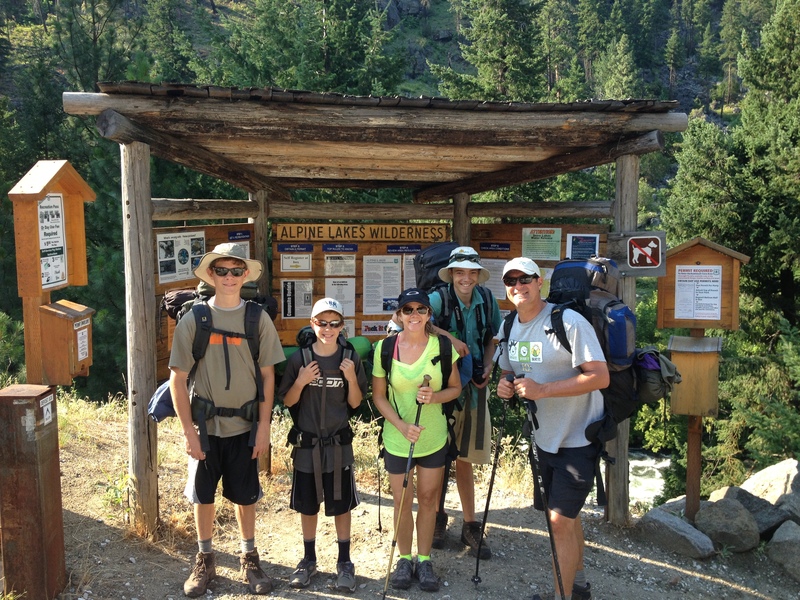 The hike started out extremely steep, rising up out of the valley just outside of Leavenworth, Washington. 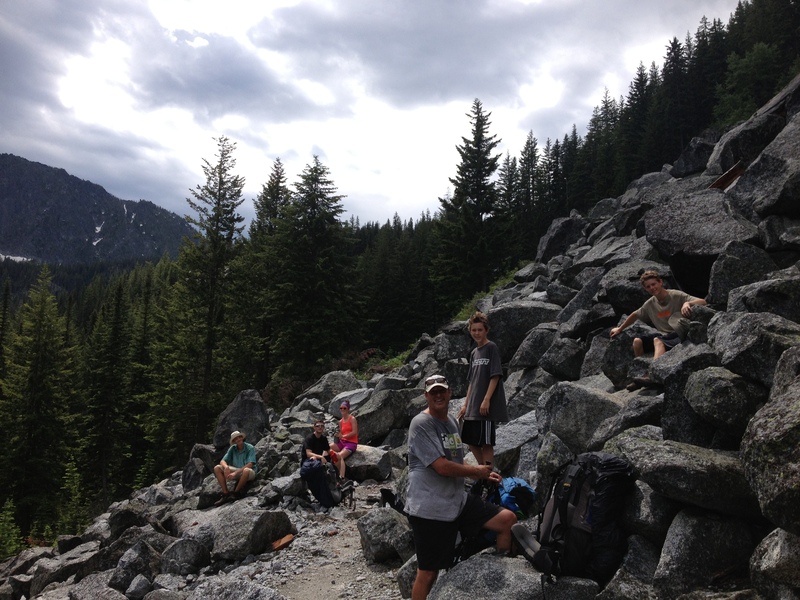 Me, with our three boys and friends, on our way up to Snow Lake. Hubby took the pic. It was a little steamy, as you can tell by the boy’s hair. Our goal for the first night was to hike in and camp at Snow Lake, a 6 mile trek.The hike in was gorgeous, steep, but not terribly difficult. Snow Lake. View from our camp, first night. Mt. McClellen in the background. No worries, I thought! I can handle this! The next day we headed out for the upper lakes. Boulder fields above Snow and Nada Lakes. Hubby and I, posing for a pic (i.e. RESTING). This was scary for me. Death by drowning on one side, death by OUCH on the other! CONCENTRATE, Sarah! The dam was slippery! and over a rounded, dead-drop boulder with rebar as footholds so that hikers would (hopefully) not plunge to their death. I have no photo of that, sketchy enough that my legs quivered and I was SO NOT taking my camera out. In fact, I may have cried. That’s just a rumor, mind you. It was hot, gorgeous, and tiring. Some of us rested in the shade. 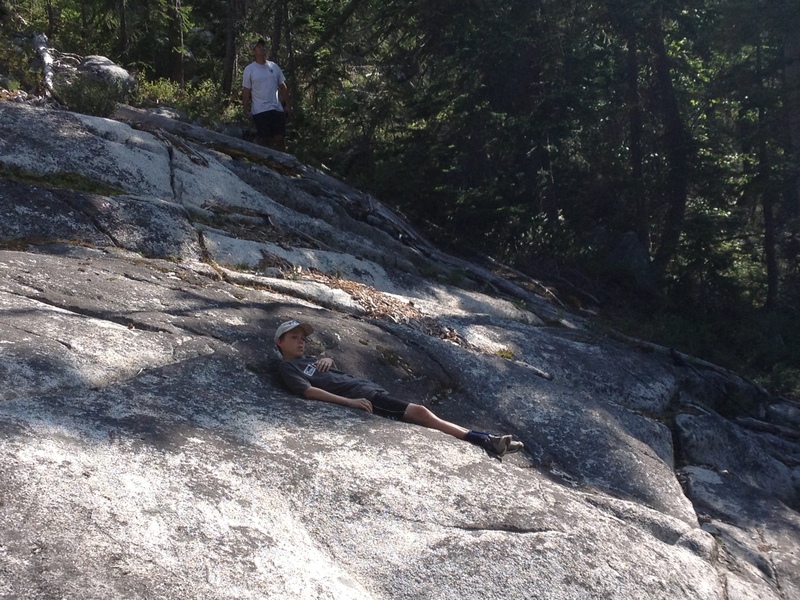 Kid 3 tired out from helping me up the boulders. So, yeah, gorgeous, but (ouch)knee, fear of heights, and water/drowning issues came to the front of my anxiety on that day. I worked it all through, though. and was rewarded with the most amazing high-alpine location I’d ever been. 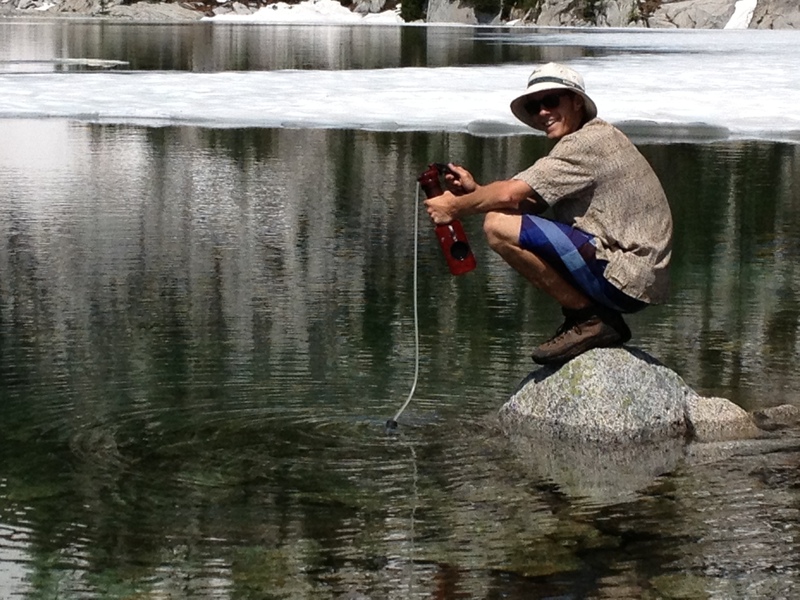 Once we arrived at Vivian Lake, we re-grouped with a water filter re-fill, lunch, and a much-needed rest. Son 1, refilling his water with a water filter system. We rested among the no-fear mountain goats and spent the next day exploring the area before heading down the following day. We hiked the entire 12 miles out in one day. By the time I reached the truck, I could barely place one foot in front of another. My legs were jellyfish, seemingly only marginally attached to my body with painful connections called joints. My back, shoulders and neck were stiff and my feet? Ugh. Too much. Only the memories of my family in one of the most gorgeous places I’ve been, and the photos I took, kept me going through some painful muscle aches for the rest of the week. Oh, and quite a substantial amount of Advil (and possibly wine…another rumor). This past weekend, paying homage to this amazing hike, I worked on a landscape of one of the waterfalls we found at the lakes. I wanted to capture the raw beauty of this location, the way nature molds the landscape, the resistance and strength of the alpine trees, and the simple glory of water in erosive action. 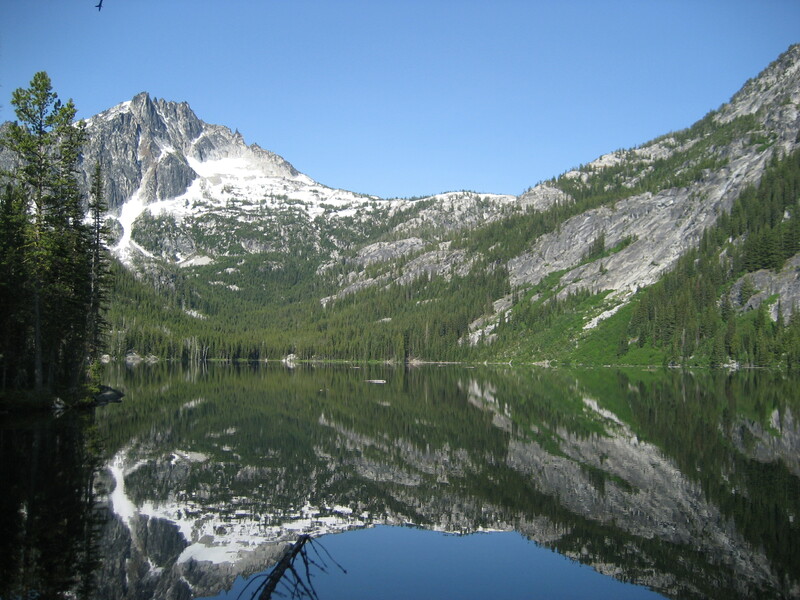 I’m bringing this to you, in the hopes that you can experience a part of The Enchantments, without the pain of the hike! “Enchanted” was created for a group show at Tumalo Art Company, and is hanging at the gallery during the month of March. It’s delightful to see in person, with collaged texture and watercolor crayons capturing the rugged feel of the cliff bands surrounding Vivian Lake. Enjoy the new work, and find it and other paintings of mine at Tumalo Art Company, and Hood Avenue Art. Beautiful painting, fantastic hike. But I was happy to do it via YOU rather than in person!